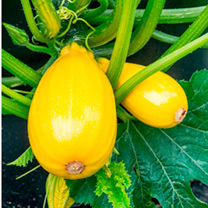 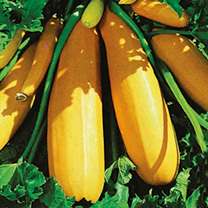 Easy and quick to grow, courgettes will not only provide you with a bumper crop but their bright yellow flowers look great in the garden too! 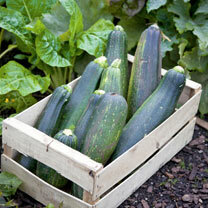 Courgette seeds need to be sown in pots under glass during April and May. 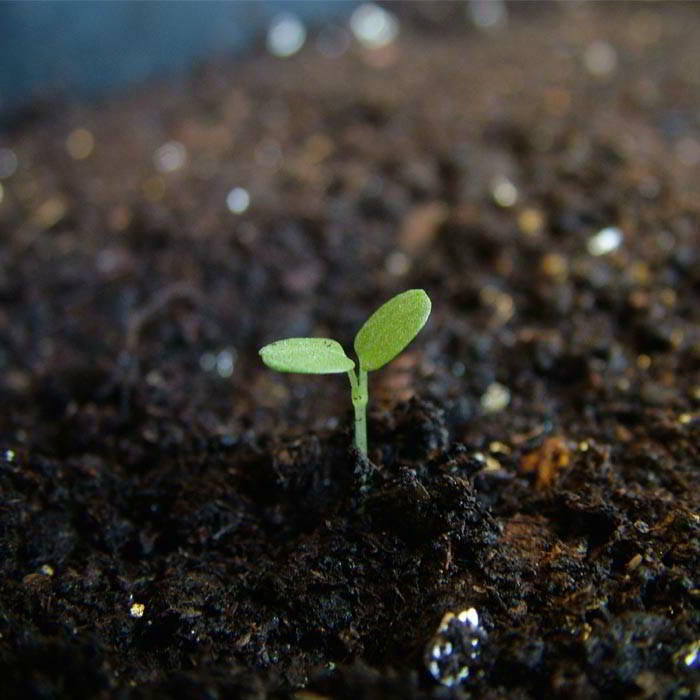 Once any risk of frost has passed then they can be transplanted outside and into pot to keep on the patio. 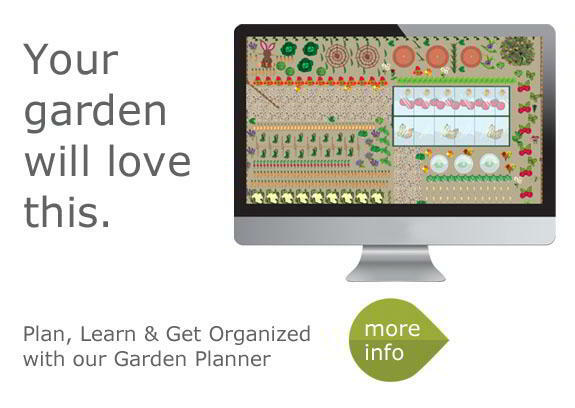 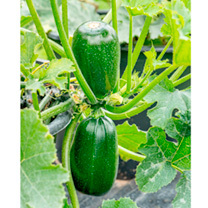 The seeds take 12 weeks to reach maturity and can be harvested from July until October. 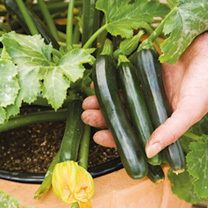 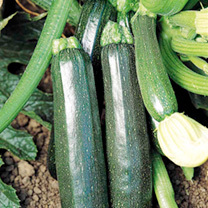 Courgette plants provide you with a delicious vegetable for at least 4 months of the year! 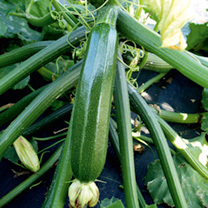 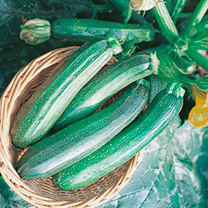 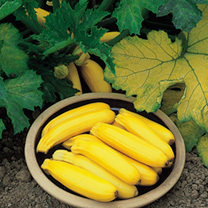 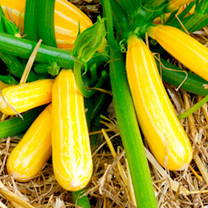 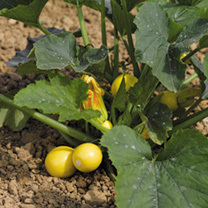 To ensure that the plant continues to produces courgettes, often picking is necessary. 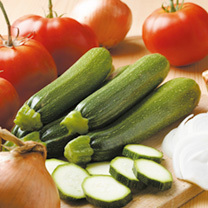 For best results leave the skin on during cooking; their delicious taste is ideal for stir-fries and kebabs. 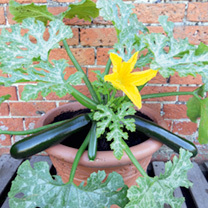 3 things to do with courgettes!